The church of St John the Baptist is a beautiful small flint, stone and brick structure, with a round tower containing two bells. 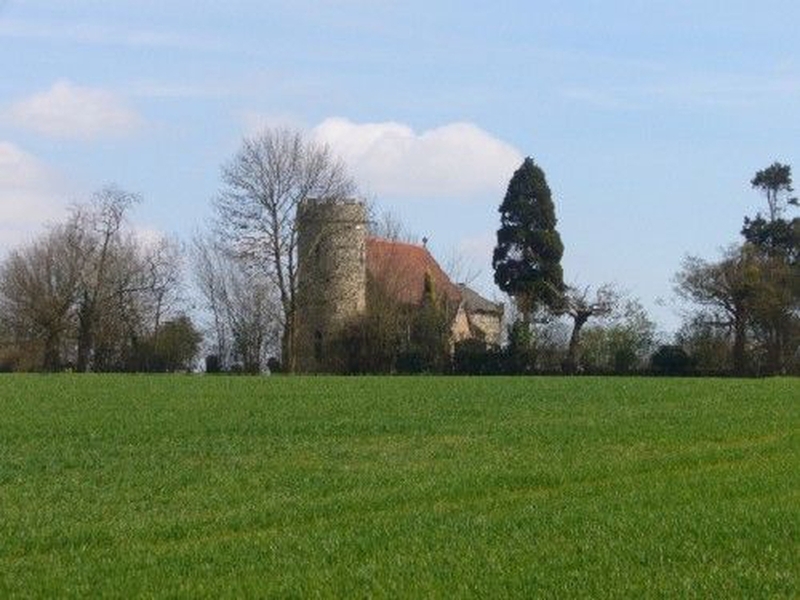 This lovely church lies in the fields, close by the ancient site of Onehouse Hall. There was a church in Saxon times, as recorded in the Domesday Book, but the present church is thought to have started its life during the great Norman build and rebuild period following the Conquest. Archeologists now date the earliest part of the building as of the 1100s. There is a car park outside the church. Families are always welcome to all of the services. Onehouse is part of a benefice also comprising Great Finborough, Harleston, Buxhall and Shelland. Whenever there is a 5th Sunday in the month, we hold a benefice-wide communion service - please contact us to find out where it is.